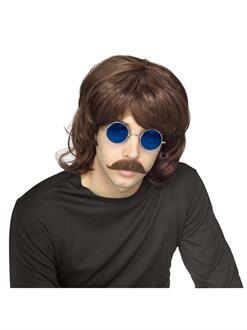 Get your groove on with this hip ‘70s Shag Wig - Brown - Men’s Costume Accessory. Pair with funky bell bottoms and platform shoes for a DIY costume ensemble. Or order from our collection of ‘70s costumes for a simple dress up solution. Order adult costumes and accessories online today.